In 1966 a 22 year old young woman from London, England stepped off a boat in Hong Kong with just ten pounds in her purse. She didn’t know it, but she was about to make history. As a child Jackie Pullinger had sensed God calling her to mission work. After finishing school and studying music at London’s Royal College of Music her conviction grew stronger. She thought God would send her to Africa, but after several attempts to be accepted as a missionary there every door slammed hard in her face. She was either too young, too inexperienced or too unqualified, and nobody wanted her. Most of her friends and acquaintances discouraged her aspirations for missionary work, but a trusted friend, a rector, gave her some counsel that changed her life. He advised her to buy a boat ticket for the longest journey she could find, pray, and trust the Lord to show her where to get off the boat. Jackie put her faith in God, bought the cheapest one way ticket she could find on a ship sailing from England, and disembarked in the Asian metropolis of Hong Kong. Jackie was almost turned back by immigration officials, but God made a way for her to enter Hong Kong, where she found work with a mission run school as a music teacher in the notorious Walled City of Kowloon. The Chinese name for the Walled City was ‘hak nam’, meaning darkness. The British had taken over Hong Kong many years before, but the walled area of Kowloon had been left under Chinese rule. When the government appointed magistrate died he was not replaced by the Chinese government. Criminal gangs, called Triads, soon took over. At the time of Jackie’s arrival in Hong Kong, the dark, narrow alley ways of the Walled City were ruled by these brutal Chinese Triads whose business was drug smuggling, prostitution, gambling dens and every kind of vice imaginable. Neither the Chinese nor the British authorities were able to govern the Walled City, and the police avoided it as much as possible. Jackie soon found the Walled City was one of the poorest places on earth. The City housed 50,000 people in huge multi-story slums thrown hastily together, which kept the alleys beneath darkened even in daylight. Open sewers crisscrossed the alleys and huge rats ran freely. Many inhabitants survived in the bleak day to day misery of slave-like sweatshops, drug dealing and prostitution. Jackie later said she could walk down any ally and see more than 100 people ‘chasing the dragon’ – shooting up opium or heroin. Immediately Jackie faced opposition from both the Triads and the established Hong Kong church, who felt the Triad members were beyond salvation. She struggled with the language and with the apathy of both the local churches and the Hong Kong authorities. Jackie started telling people in the Walled City about Jesus but made little impact. The only Christianity these people knew about was a Christianity that looked down on them and considered them worthless. Realizing she needed to demonstrate Jesus rather than talk about Him, she started a youth club to reach out to the thousands of young men whose only future lay with the Triads. Most of these young men were addicted to heroin or opium. His response was an eye opener for her. “I re-examined some of my concepts about studying the word of God. The early Christians certainly had no Bibles; they must have learned another way”, she later wrote. [Chasing the Dragon, 77.] From then on she became more focused on personal interaction and less on distributing reading materials. Jackie faced much discouragement and many setbacks. For some time the youths rejected all of Jackie’s attempts at sharing the gospel, exiting the club with loud catcalls whenever she prayed. Some of the boys destroyed the club and the games equipment that Jackie had purchased for their use, smearing the walls with sewage from the alleyways. Jackie did not give up however, eventually earning the respect of both the Triad leaders and the Hong Kong authorities. The Hong Kong government even began to pay her a wage, making it possible for her to focus on full time missionary work within the City. A Triad boss, unsolicited by Jackie, sent guards to protect the youth club from further vandalism. When a Triad leader asked her to help his men get off drugs Jackie refused, saying she would only help them to follow Jesus and to reject both narcotics and organized crime. Amazingly, the crime boss continued to support her and renounced all claim on the boys who became Christians. Jackie later shared that her breakthrough came after a Chinese Christian couple laid hands on her and prayed for her to be filled with the Spirit. Not long after this Jackie began to see people responding to her invitation to follow Christ. One Triad member who had made several attempts to come off drugs decided to trust Jesus. As she prayed for him he was immediately delivered from his addiction and healed. This pattern began to occur frequently with long term addicts surrendering to Jesus and being set free from their former addictions without pain or trauma. In time Jackie opened a home to help her young men learn to live in the community outside the Walled City, find jobs and continue to follow Jesus. At first she sent them to church, but finding the local churches did not receive the boys well, she started her own Bible studies where they could grow in faith and be nurtured in a safe spiritual environment. Jackie found her most effective co-workers were those who had been converted through her ministry. With their help, Jackie was eventually able to outreach further afield and expand her work. Since those early days Jackie Pullinger has continued to focus on evangelism and drug rehabilitation. In 1981 she established St. Stephen’s Society in Hong Kong which is an international ministry to drug addicts, reaching out into other nations including The Philippines and India. 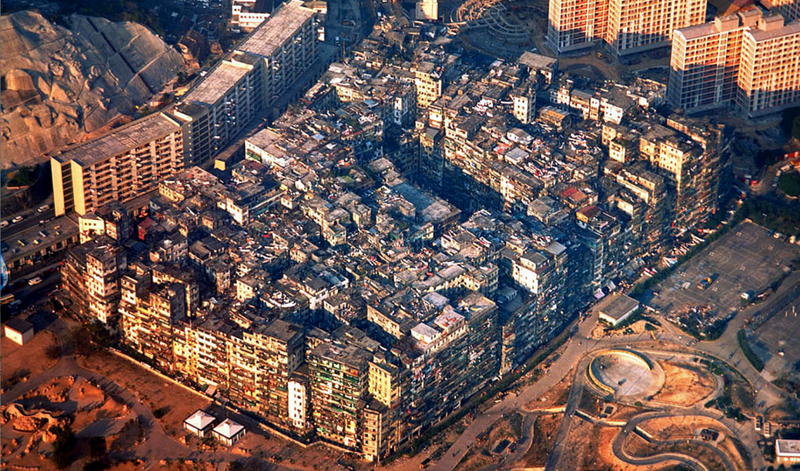 Through 1993 and 1994 the Walled City was demolished by the Hong Kong government and the residents were paid compensation. Some, however, had to be forcefully evicted. A park now stands where the old Walled City used to be. 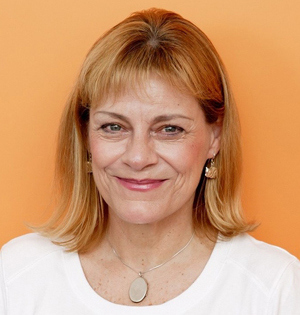 Jackie Pullinger, a woman whose faith led her into a lawless and dangerous urban jungle on the other side of the world, continues her ministry to those affected by addictions and poverty both in Hong Kong and many other parts of Asia. Her life is a living testimony to the faithfulness of God, bearing witness that God is not influenced by those who would restrict women from following their callings in Christ to the utmost. Thankyou Jackie for your courage, your commitment, and your ongoing legacy! Thank you Cheryl for sharing this bit of this servant’s life, that glorifies and announce to the world God’s Power and Love for the lost. Thankyou for your comment and encouragement Cheryl!